As per reports, a recommendation for dismissing Komal Ram, the then judicial magistrate at Araria and now sub-judge at Nawada court, Jitendra Nath Singh the then additional district and sessions judge at Ara and at present ad hoc district and sessions judge at Ara and Hari Niwas Gupta, the then principal judge at family court, Samastipur, and at present principal judge, family court, at Muzaffarpur, has been made by a full court meeting of the Patna High Court chaired by Chief Justice Rekha M Doshit, to the Bihar government on the grounds for engaging in unwelcome activities last year. Allegations leveled against the three judicial officers is that after the 2013 Republic Day function they crossed over to Biratnagar in Nepal and were found with some women during a police raid at a hotel. In matters of removal, a decision taken by a full-court meeting is final. 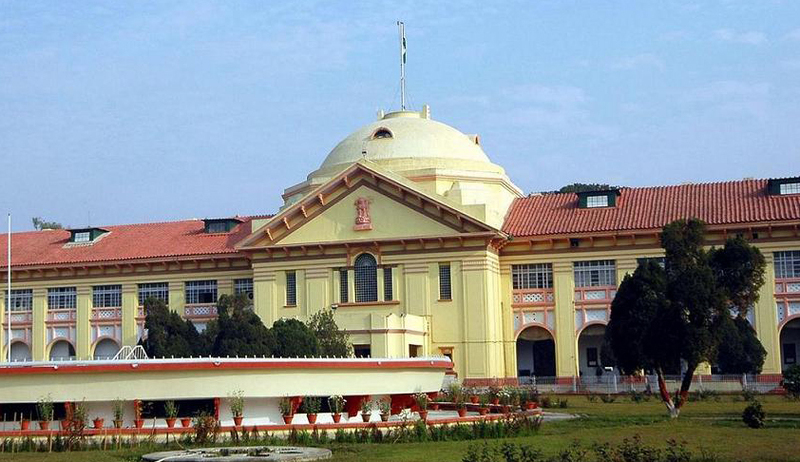 The removal orders for the three officers of the Bihar Judicial Services is most probably going to be issued this week by the state government. After a Nepali newspaper had carried a report on the alleged incident on January 29, 2013, an internal inquiry was conducted by the Patna High Court. However, their detention had not been recorded yet. On February 5, a unanimous decision for dismissing the three was taken by a seven-member standing committee meeting, which was headed by the chief. Reacting to this allegation, Singh expressed the shock he and his family got after the news of his dismissal. He said that although he has not got official communication about the High Court full committee recommendation to dismiss him and two others from service, he had heard about it. He expressed his discontent on not being given a chance to talk about his side of the story, and said that in his 24-year service, no one could raise a finger on his integrity of character and now his image was damaged in one go. He, however, informed that while he had little option but to respect the High Court’s decision, but soon he would explore his legal options. On the other hand, Ram maintained his account that on the said dates he had been in Purnea. Gupta was unavailable for comment. As per the report carried by Nepali newspaper Udghosh, the three judges were found in objectionable position, when a Biratnagar police team led by inspector Pradip Singh had conducted raids at the hotel. However, according to the paper, when the police team learnt that the three persons in question were officers of the Bihar Judicial Services, they had been allowed to leave without their detention being recorded. Earlier, following prima facie findings, the state government had demoted Ram, Singh and Gupta. It has been traced by Purnea district judge Sanjay Kumar, who during investigation found the location of their mobile phones to near Forbesganj (Araria) along the Indo-Nepal border on 26-27 January 2013. While Ram claimed that he had been with his family in Purnea on 26-27 January 2013, the two other judges had said they were present in Nepal on these days. It has also been found by Bihar Police that the mobile numbers of the judges had been in silent mode between January 26, 2.30 pm, and 11 am, January 27. After 11 am, their mobile phones were seen as operational in India.